TommyG Woman Dual Lipstick : This dual lipstick contains a coral shade on one side and crystal clear gloss on the other side. The packaging is not at all attractive, a black connector is provided to attach both gloss bottles. The applicator brush provided with this gloss is of good quality and provides full control to get precise application. It has a neon orange color and is highly pigmented and contains tiny shimmer particles. It is one that shade which I would not like to flaunt, I think this shade is not meant for Indian skin tone. 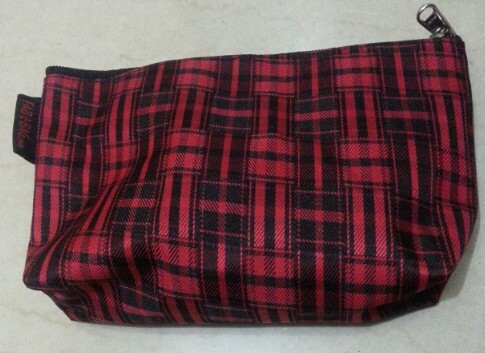 This is the only product in my FabBag, which I really don’t like. 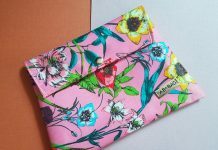 I wish FabBag crew has sent me some other shade. TommyG Woman Dual Lipstick Price in India is Rs.980 for 10ml. Click to read the full review. Cetaphil Cleansing & Moisturizing Lotion Kit : The second product that I received in my bag is a Cleansing & Moisturizing Lotion Kit from a popular pharmaceutical brand Cetaphil. 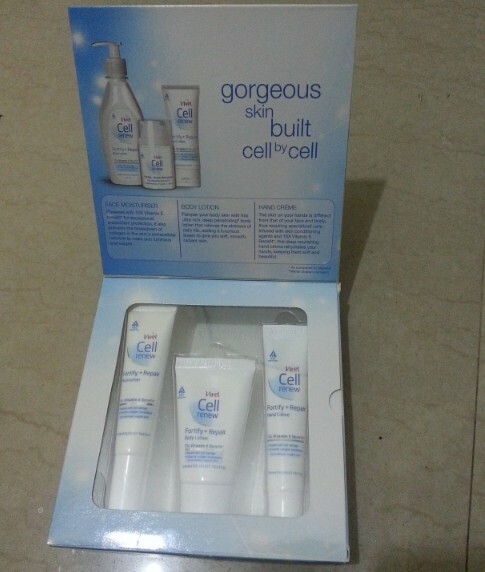 This kit contains two small size (25ml) samples of Cetaphil moisturizing lotion and Cetyl Alcohol & Stearyl Alcohol lotion. Both these lotions comes in similar packaging, sturdy white bottles with screw open caps. I’m looking forward to use these products. I have already used some of the Cetaphil products (sunscreen) previously and my experience was quite good. 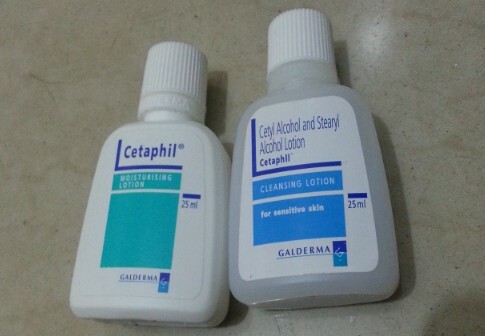 Cetaphil Cleansing Lotion Price in India is Rs.163 for 125ml, Rs.315 for 250ml and Cetaphil Moisturizing Lotion Price in India is Rs.260 for 100ml. 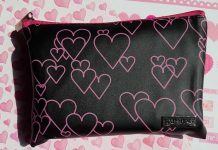 Click to read the review of cleansing lotion. 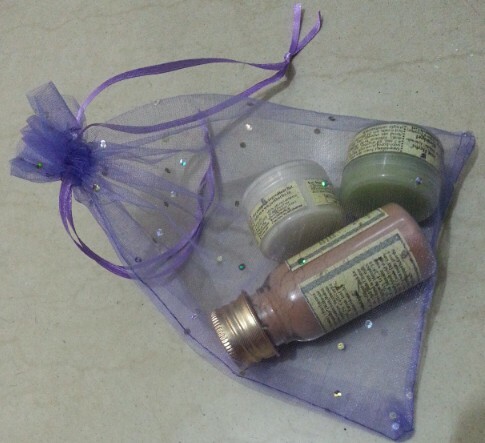 Just Herbs Anti Blemish Kit : This kit contains three products from a herbal brand Just Herbs, that are placed inside a beautiful purple color net pouch. Kit contains Just Herbs Blemigel Anti Blemish gel (15g), Just Herbs Blemipack Anti Blemish pack (20g) and Just Herbs Blemifree Anti Blemish cream (15g). As blemishes are my concern these days, so I’m looking forward to use this anti blemish kit very soon and will share my views about it. Just Herbs Blemigel Anti Blemish Price in India is Rs.490 for 50g (gel), Rs.395 for 60g (face pack) and Rs.550 for 50g (cream). 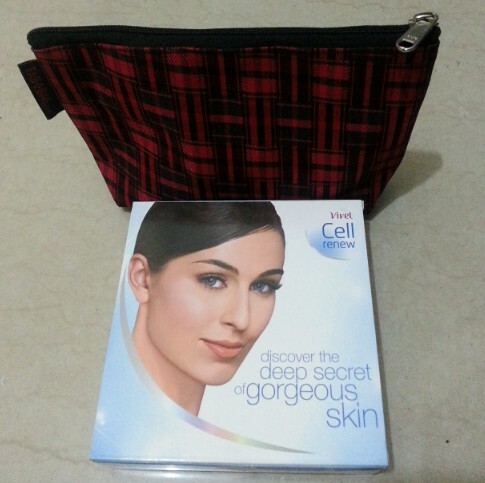 Ok now lets talk about free sample from Vivel Cell Renew Fortify + Repair range. 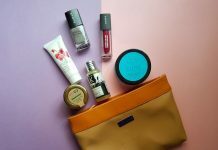 FabBag crew has sent three sample from this range, Vivel Cell Renew Fortify + Repair moisturizer, Vivel Cell Renew Fortify + Repair body lotion and Vivel Cell Renew Fortify + Repair hand cream. 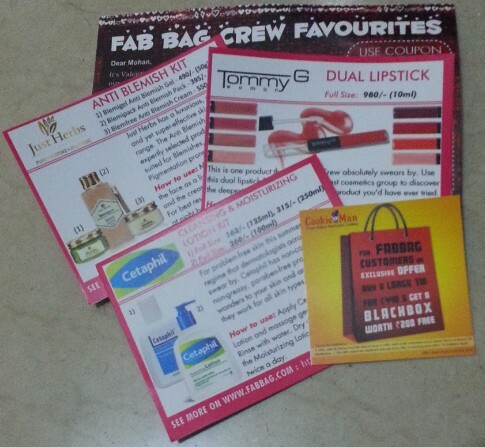 I am very excited to use these products and will definitely come with their detailed reviews very soon. Click to read the review of Vivel Cell Renew Fortify + Repair. Last but not the least the FabBag team sent Cookie Man cookies pack, considering this to be Valentine’s month. The pack had two heart shaped delicious cookies .